In the last ten years Roman has formulated a means of identifying the interactive resonant patterns within corporations and departments that reveal not only their strengths and challenges, but where the improvements are hiding; where the right effort is most likely to bring success. Mediation and resolution of individual and group dynamics, Executive, business and life coaching, Communication, Effective Presentations, Corporate Renewal, Management Consulting for Groups and Corporate Teams, Shifting the Dynamics of Groups, Life Coaching and Transformational Workshops. Determining the optimal directions for success for executives and companies. This differs significantly from traditional coaching, in that it reveals and refines what works best, rather than wasting valuable time by focusing on improving what may not have been the more optimal choice. Improving the dynamics of work groups and administrative communication. Roman combines his extensive former background as an art director (University of Toronto) and presenter on the one hand with his experience with energy work and the dynamics of communication to enhance the impact and effectiveness of your presentations. Innovative Corporate Workshops emphasizing breakthrough alternative and practical approaches to help executives, corporations and groups shift to their core strengths. Many have been certified for continuing education and continuing education credits. Established in Q'ero healing tradition of the High Andes of Peru. Direct clearing, realigning and re-energizing of the chakras and energetic field. The healing ways of the Inca tradition is very profound. They have preserved the old ways intact: the wisdom, knowledge and embodiment of healing of the soul and sprit. Detection and removal of disharmonious resonances and emotional patterns. 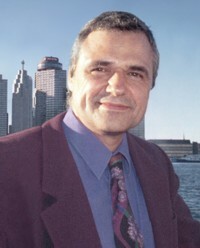 Roman's mediation practice began with Tibetan Buddhism in 1967, and extended to Kashmir Shaivism for over three decades. His studies have also included western spiritual traditions and the native traditions of the Americas. Over 30 years of extensive experience as a spiritual counselor, meditation center leader and group meditation facilitator, and spiritual life coach. He holds extensive training in supporting meditation and his client's spiritual journey. For over 30 years Roman has held the position and role of drum keeper, in sacred chants and in native traditions. "Drumming at this level is an unfolding of the grace of the chant and rhythm, the awareness of each heart and an emersion into the subtle drum: your heart, sprit and soul is the drum. The physical drum is just a stepping stone." In addition to his extensive experience as a spiritual advisor, Roman has been a music coordinator for sacred chanting for almost 30 years. "There is a profound relationship between music, sound and the spirit. It brings us into communion with timelessness. I have been fortunate to be an instrument and bridge that reveals that connection and to support others in developing their own skills to support their own journey." Roman has taken his background in Medical Illustration to a new level: He is currently authoring several books that reveal the anatomy of the chakras and subtle energy fields of the body, towards a new level of detail and refinement. Some of these pioneering illustrations have already surfaced in his workshops.
" My background in medical illustration encouraged a respect for accuracy and validity. Before I began to draw or illustrate anything, I learned to wait until I fully understood and appreciated the subject, asked all the right questions and checked and rechecked all of the sources. I have applied that attitude to coaching and healing in general - always test what you read with your direct experience. Don't assume every author knows what they are talking about!"